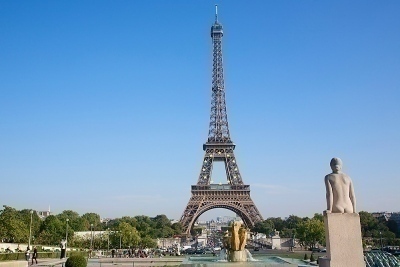 France is one of the most popular expat destinations in Europe. The country is actually concerned about immigration, because many foreigners come to work and live in the country, and some of these people use illegal methods. Unemployment in the country is quite high; the French government is not willing to give jobs to foreigners, and many expats will tell you that finding a (legal) job in France is not easy at all. Now, let us see how you can get permission to work and live in this country. EU citizens can visit France and stay there for up to three months. However, they cannot receive any kind of social benefits. If you want to return to France, you can travel to some non-EU country, have your passport stamped, and come back with a new three-month tourist visa. Some people do this, but we can’t say this is really legal. If you want to live in France, you can apply for “visa de long sejour”. It will require proof that you have enough money. In addition, you will need to have a police clearance and medical insurance. If you are a non-EU citizen, it can be very difficult to find a job in France. As we said, the unemployment rate in the country is very high. Even if there are no any professionals qualified for certain jobs in France, there are professionals who come from other EU countries, and they will have better chances of getting hired (compared to non-EU citizens). Work permits are also hard to get. If you find a job in a French company, they will help you get a work permit, but this is not as simple as it sounds. Very few companies will actually be willing to so such thing. Most companies will tell you that you need to have a work permit to get hired, but you can’t get it before you find a job. Therefore, the best way to get a work permit is to start working for an international company that has French branches. Students can live and work in the country, but this is only temporary. A student visa will allow you to get a temporary work permit. You can marry a French citizen to get French citizenship. However, you will still have to get a carte de sejour, and after that, you will have more paperwork to deal with. To learn more about French law and immigration, visit French law.